With 33 years of experience, Ultimate Watersports Paddle Tours are second to none, anywhere on the Chesapeake! Tours must be booked online in advance. There is no better place to view the sunset than from the water. Join us at our new private waterfront retreat on the Chesapeake. All navigation lights and other paddling equipment will be provided. Minimum age of 16. Feel free to bring snacks and hydration along for the ride. Interested in planning your own private group tour? Contact us at 410-207-8601 today! All tour guests must arrive 30 minutes prior to scheduled tour start time, in order to check in and prepare for the tour. ALL TOURS BEGIN AND END ON TIME. There is no better place to view the moon rise than from our new private waterfront location on the Chesapeake. 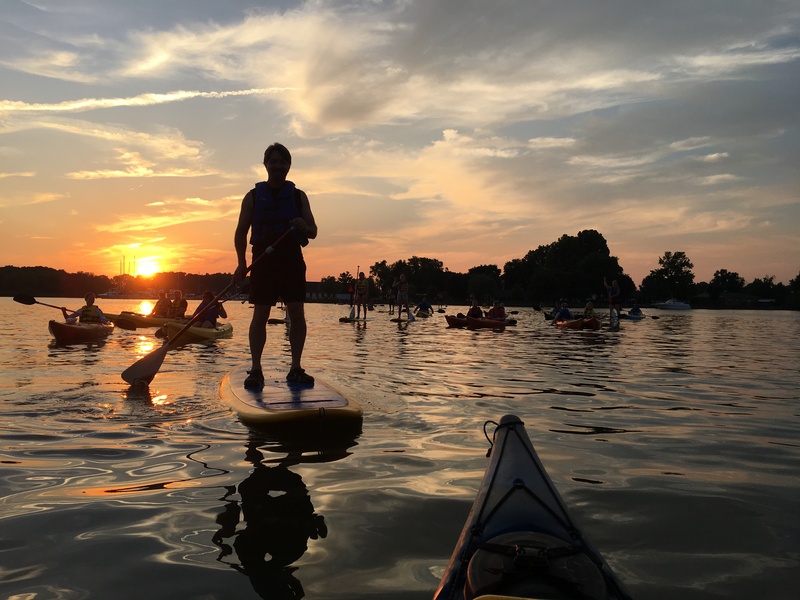 Join us for a guided tour on one of our super-stable stand up paddle boards. All navigation lights and other paddling equipment will be provided. Minimum age 16. Basic paddling experience required. We can not take first time paddlers on any night tours!